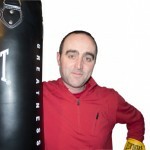 You are here: Home / All Posts / Day 38 – Boxing Basics and More! The face says it all – extra training! 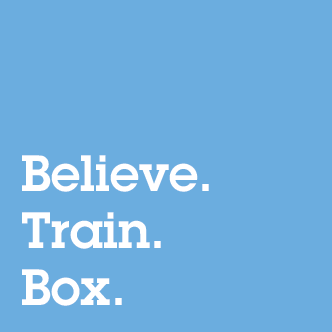 Today, the program brought me back to Technique 1 – The Basics (with the dreaded 7 to 1 – Press Ups, Crunches, Burpee Jumps, Star Jumps). Feeling a little crazy I also decided to add in V-Sit Ups at the end, as my wife suggested “I wasn’t very good at them” yesterday. I’m sure my body will complain in the morning – and I know who to blame! 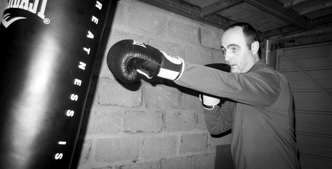 Back to the boxing basics. 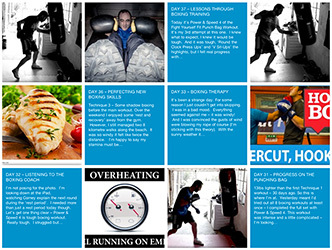 Technique 1 was the first workout in the 60-Day schedule – and my initiation to boxing training. It almost felt a bit nostalgic to re-visit it again. 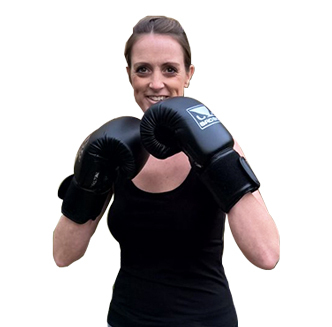 I remember 38-days ago when I pushed forward to throw the left jab – it took some practice to judge the distance when stepping towards to the punch bag (I tended to end up too close). 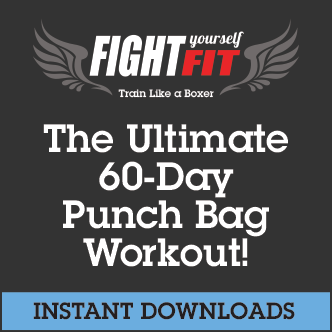 This workout is an introduction to the main techniques that will prepare you for the program – but the combinations are intense and build up fast. It can be as hard as you want it to be. I certainly had plenty of opportunity to practice ‘Body Shots’ and Head Hooks’ in Round 4. Now with a little more experience, if needed, I can bypass the early movements and go straight into the full combination. It makes it significantly harder as you’re going full steam ahead for the full 2-minutes – but as you get more familiar with the routine, there’s always that option to up the tempo – as long as you save yourself for the 7 to 1 at the end! 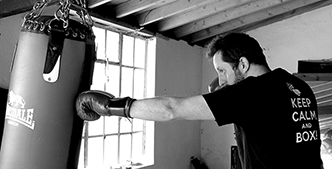 Are you trying to perfect the boxing basics? Feel free to add any questions below and we’ll forward them to Cornelius.